Sandals Resorts International (SRI) has been expanding in leaps and bounds over the past few months, with the announcements of new Sandals resorts in Barbados and Grenada. Now it’s set its sights on Antigua with a property in its Beaches Resorts brand. 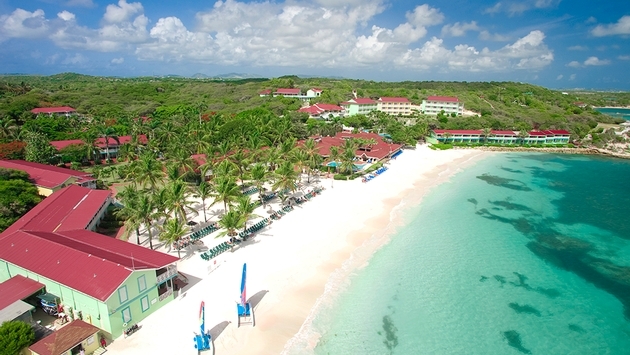 Sandals has signed a memorandum of understanding with the island’s government to convert its existing Grand Pineapple Beach Resort in Long Bay into Beaches Antigua after a $125 million refurbishment. The revamped resort will feature one- to four-bedroom rooms and suites, up to 12 restaurants, meeting and conference facilities, a waterpark, movie theater, Xbox play lounge and BMX bike track. Beaches caters to couples, families and singles with its all-inclusive concept, in contrast to Sandals, which focuses mostly on couples. “As a country, Antigua is very dear to our hearts because it was the first place we went when we ventured outside of Jamaica in 1991,” said Sandals Chairman Gordon “Butch” Stewart. Beaches Antigua will be the fifth Beaches resort in Sandals’ portfolio when it opens next year, with the other resorts located in Turks & Caicos; Negril and Ocho Rios. Sandals recently expanded its Beaches Turks & Caicos resort with the addition of the $120 million Key West Village making the property the largest in the Sandals International chain. 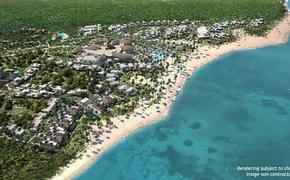 The company also is opening two Sandals resorts in Barbados and Sandals LaSource Grenada on Dec. 21, 2013.